McKinney Gas is serious about gas safety. All our engineers are on the Gas Safe Register and will have their official identity card when you ask to see it. 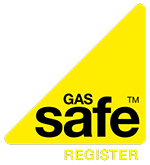 The Gas Safe Register is the official gas safety organisation in the UK. It replaced CORGI on 1st April 2009. The Gas Safe Register is responsible for the registration and regulation of gas engineers. Membership is mandatory for any company or engineer working with gas appliances. If you would like to find out more about the Gas Safe Register you can call 0800 408 5500 or visit the Gas Safe Register website.